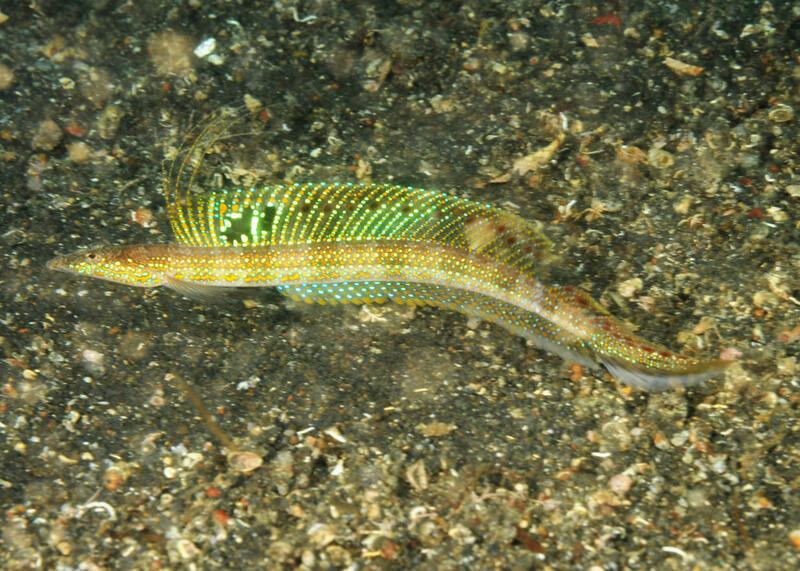 Trichonotus setiger, Sand Diver, N. Sulawesi 09. 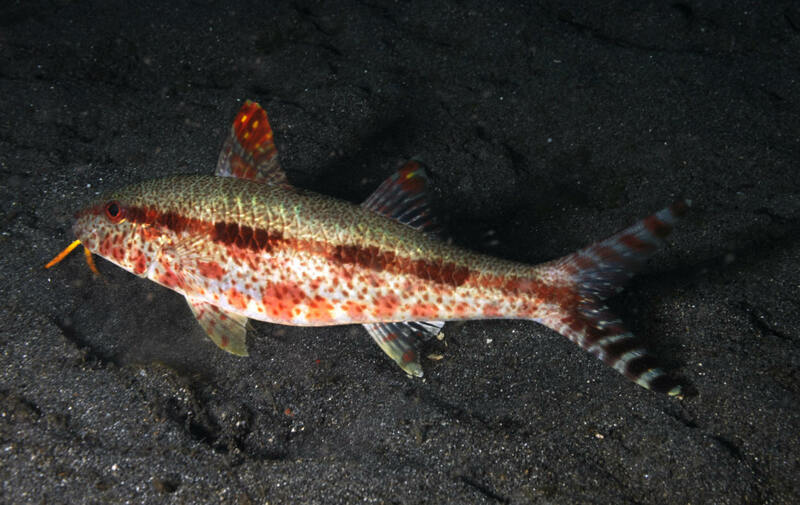 Upeneus tragula Richardson 1846, the Freckled Goatfish. Indo-West Pacific. To a foot in length. One down in N. Sulawesi. Zanclus cornutus (Linnaeus 1758), the Moorish Idol. Indo-Pacific. Can be kept in captivity, though rarely lives due to trauma in capture, holding, shipping, starvation during this time, damage to their mouths... Omnivores that mainly feed on benthic invertebrates. Principally sponges... and algae. N. Sulawesi pic. 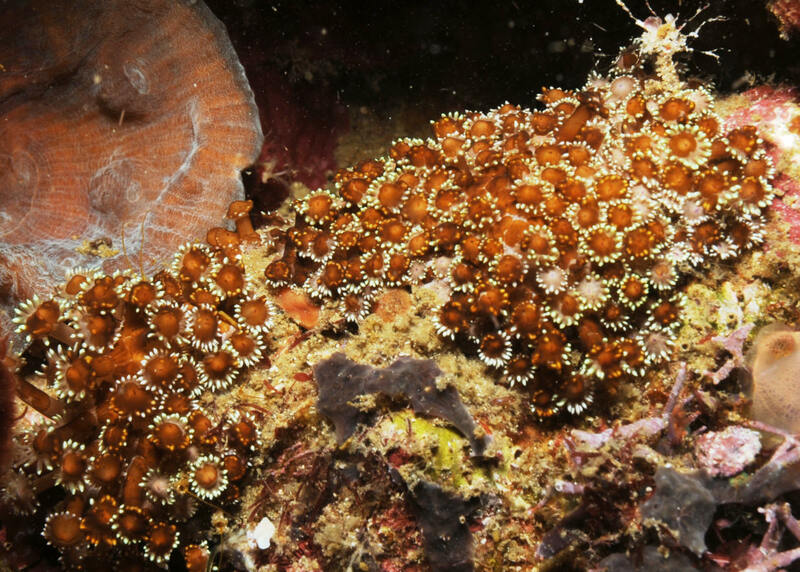 A nice Zoanthid colony in N. Sulawesi.